This gift card is good for massage therapy sessions with Autumn Bowman at the wellness center. Available in any amount between $60 (the price of a 30-minute massage) and $640 (the highest price for a massage package). 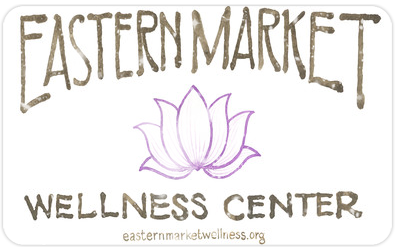 Visit EasternMarketWellness.org for more information, located under Services and Specials.